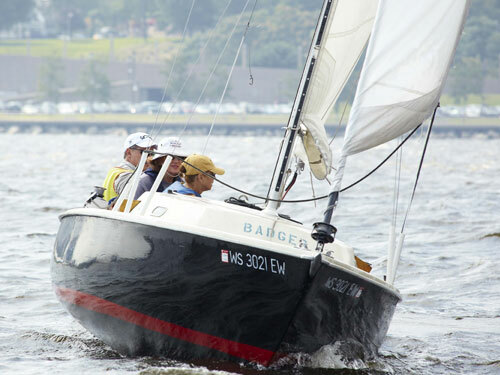 The Ensign is the workhorse of the Sailing Center's fleet. With its full keel, large cockpit and basic rigging, it is a comfortable, stable and straightforward boat for learning to sail in a variety of wind speeds. 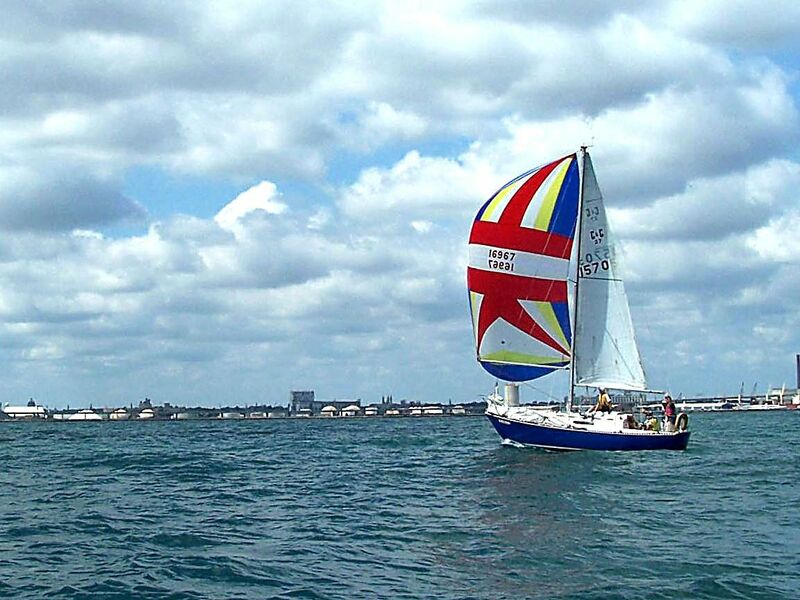 The Ensign is used in many of our Adult Courses and is the boat of choice for Open Sailing. 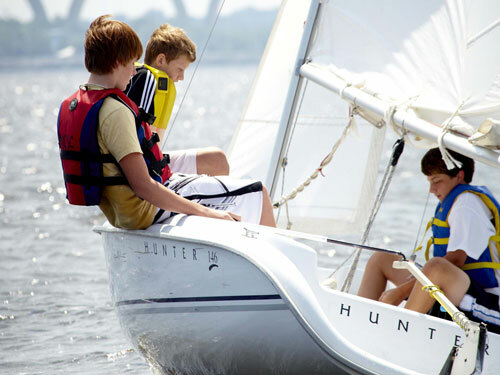 The Hunter 146 is used in our Youth courses, but also teaches the mechanics of centerboard sailing to our Adult members who would like to branch out into these fun and lively boats. It is both manageable and versatile. The Hunter 146 performs well in a variety of wind conditions and is a comfortable, fun platform for teaching centerboard boats to youth and adults members alike. 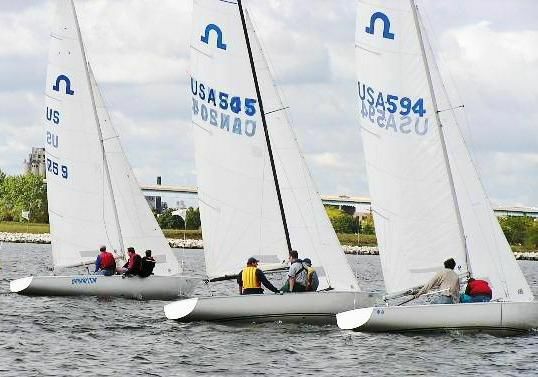 The Club 420 is used in our more advanced Youth and Adult sailing classes. 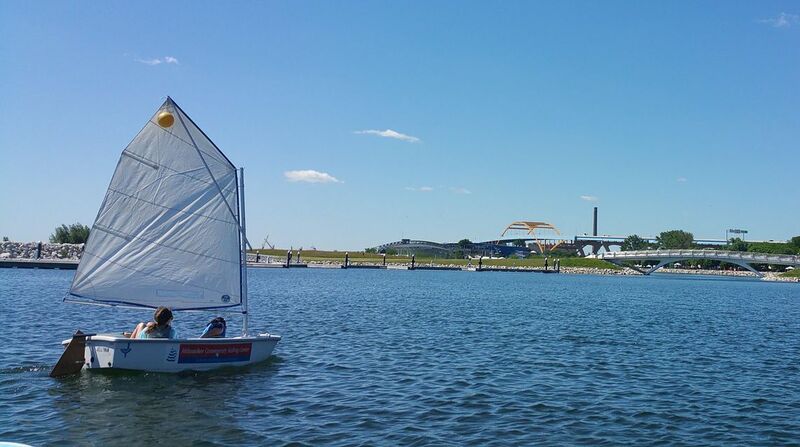 This agile and spirited centerboard boat takes intermediate sailing skills to the next level by enhancing a sailor's understanding of the finer points of crew weight, boat balance and sail trim. The Club 420 is also rigged with a trapeze harness and spinnaker and is a lot of fun to sail. The JY Club Trainer is used in the Prams in the Park Program for the Sailing Center's youngest sailors. The JY Trainer is similar to the Optimist, the world's most popular youth boat, but is made from an advanced composite construction that makes it stronger. The JY Trainer is roomy enough to be sailed by two children and is an enjoyable, stable learning platform. 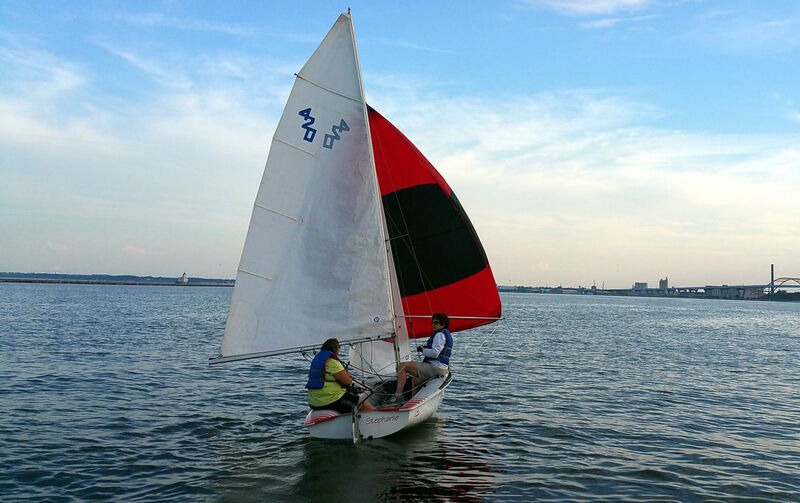 The Soling is used in the Sailing Center's intermediate and advanced level courses for adults who would like to branch out into a more interactive rig than the Ensign. Equipped with a spinnaker and a more developed rig that allows for further instruction and understanding of how a crew can "tweak" their boat for optimal speed. The Soling is a sleek, fast and responsive boat that is generally sailed by a crew of three. The Soling has been the Olympic class race boat for many years. It is a great boat to teach secondary skills with. 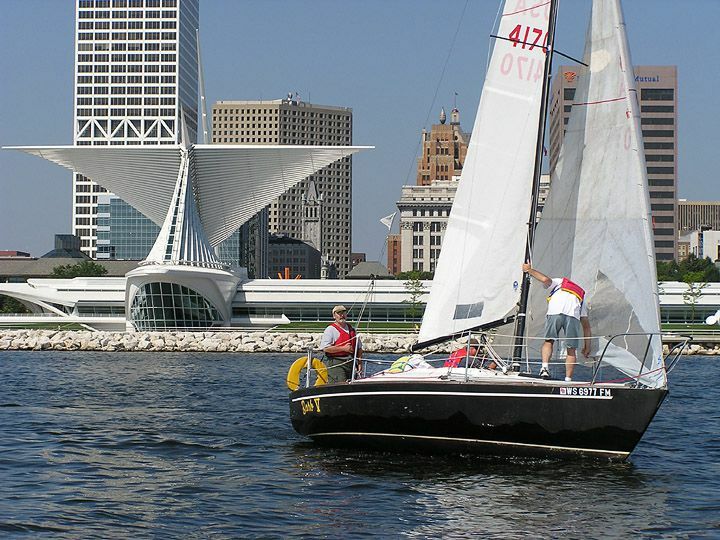 The J/24 is utilized in our advanced sailing classes for adults who would like to get experience in one of the more popular race boats. Sailors enjoy its challenge and working through the variety of technical adjustments that are necessary to sail the boat at its optimum speed. The J/24 can be sailed by as few as two people, but is typically sailed and raced with a crew of five. MCSC has two C&C boats and they are the two largest boats in our fleet. Misty is our C&C 27' and Reliance is our C&C 29'. They are used in our Cruising courses with our more experienced sailors. These roomy cruisers introduce the systems that are typically found in the larger cruising boats. We introduce electrical, mechanical and cooling systems to our students and the skills that are taught on these vessels prepare our members for the use of engines in boat handling. The Sailing Center maintains Boston Whalers as safety and instructional boats. The legendary Boston Whaler is practically indestructible, which make them a great platform for instruction and keeping a watchful eye on the sailing fleet. The Boston Whalers are used in all programs by the Sailing Center staff who are trained how to operate the boats with a high level of safety awareness by a US Sailing Powerboat instructor.